If you are looking to explore Somerset, the award-winning The Cross at Croscombe B&B is a great choice. Since opening, this B&B has won numerous awards including, ‘B&B and Guesthouse of the Year‘ in the Bristol, Bath and Somerset Tourism Awards 2018. The pretty village of Croscombe lies in the heart of the county making it a great base from which to roam. Croscombe made the short-list in the inaugural Somerset ‘Small Village of the Year‘ 2018 competition run by Somerset Live. This large and diverse county has many fantastic attractions. All the places listed below are just a short drive away. There really is something for everyone to enjoy, so come and explore Somerset. Find out more about some of the great Somerset Festivals. The Visit Somerset ebook is packed full of ideas and amazing imagery. Download a copy here. For more ideas, take a look at my blogs; Places to go in Somerset, Outdoor activities in Somerset and What to do in Somerset. Enjoy beautiful coastlines, picturesque villages, stunning countryside, historical cities, ancient monuments and a host of family attractions. There are a number of fabulous gardens nearby. One of my regular customers is Flora Garden Tours. 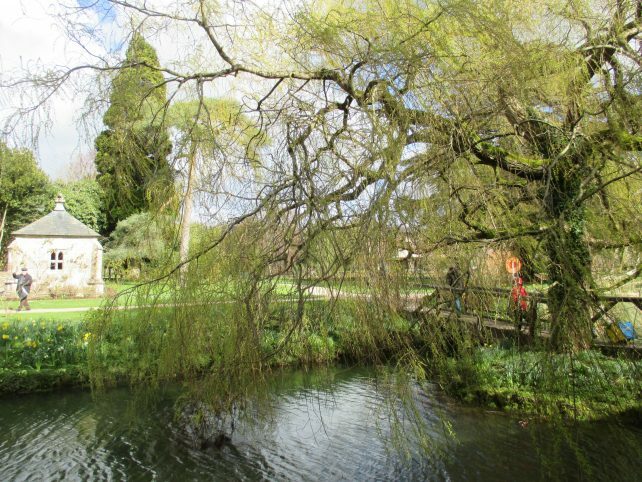 They use The Cross at Croscombe as one of their places to stay while they explore the host of gardens in Somerset. Listed below are just a few of the fantastic trips you could take. 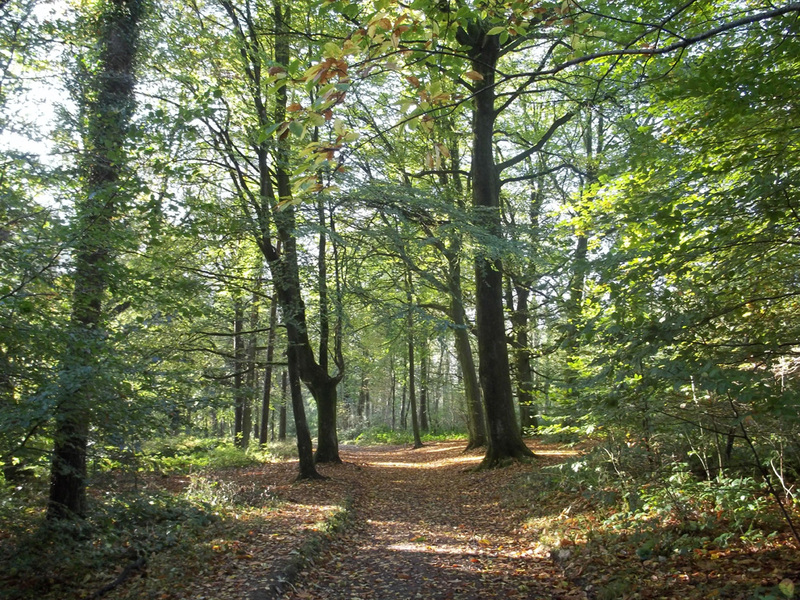 Running through Somerset are the Mendip Hills, a designated Area of Outstanding Natural Beauty. 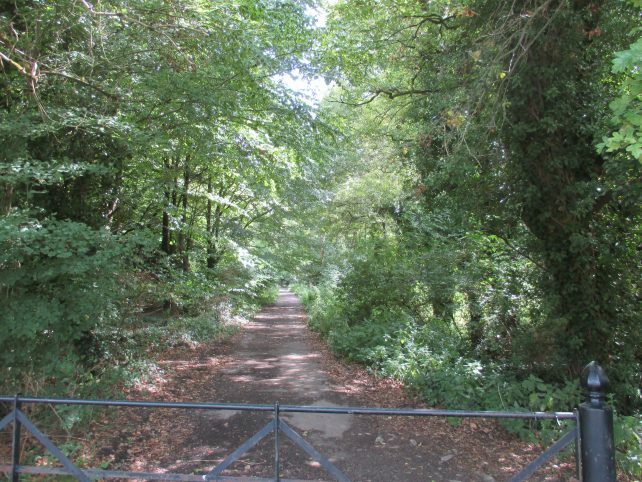 They are made up of steep slopes, undulating hills and spectacular gorges which overlook the Somerset Levels. Cheddar Gorge is the most famous, but Ebbor Gorge and Wookey Hole are also fine examples. 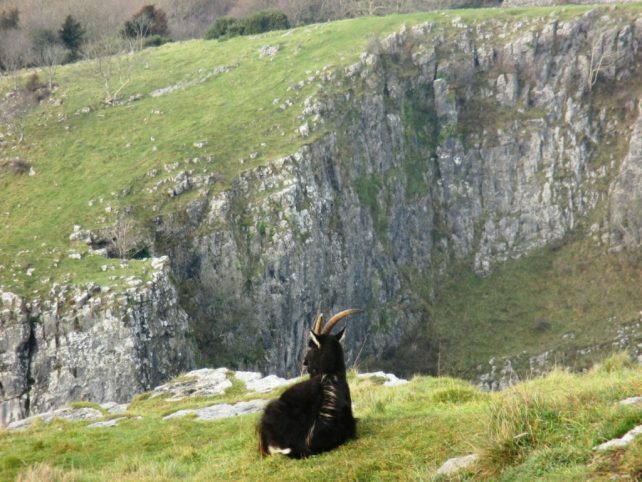 The National Trust’s Top of the Gorge festival takes place at Cheddar Gorge 14 – 16 June 2019. The weekend includes plenty of actvities and entertainment. Keen ‘Twitchers’ should head to the Somerset Levels. This area is home to an amazing array of wildlife. The incredible aerial displays by thousands of starlings are an amazing sight. 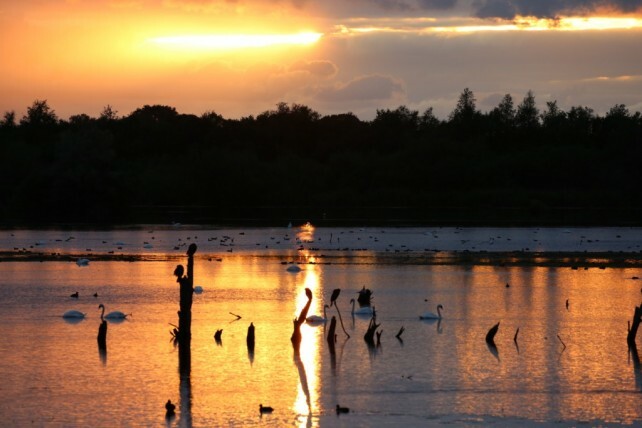 There are lots of RSPB reserves near to Croscombe, these include Ham Wall. Wells is a beautiful city full of historic buildings and amazing architecture. It’s just a couple of miles from Croscombe. 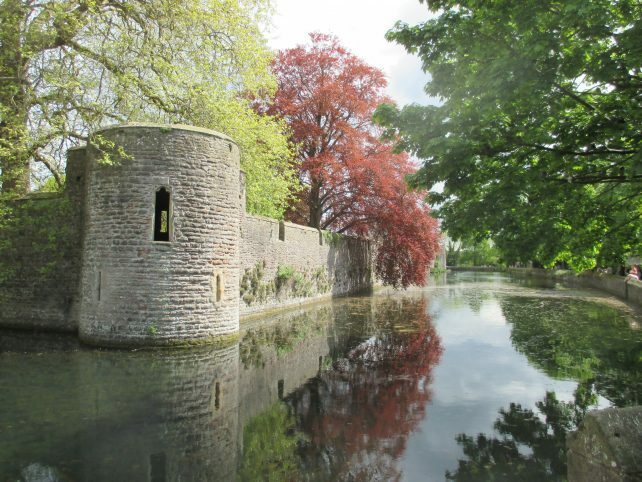 Wells is renowned for its magnificent Cathedral, the moated Bishop’s Palace and Europe’s oldest continuously occupied residential street, Vicars’ Close. Wells also plays host to a vibrant market on Wednesdays and Saturdays which showcases a wealth of local produce. The long established farmers’ market has won ‘Best South West Farmers’ Market’ in the Taste of the West awards. The city also has a fantastic concert hall, Cedars Hall. 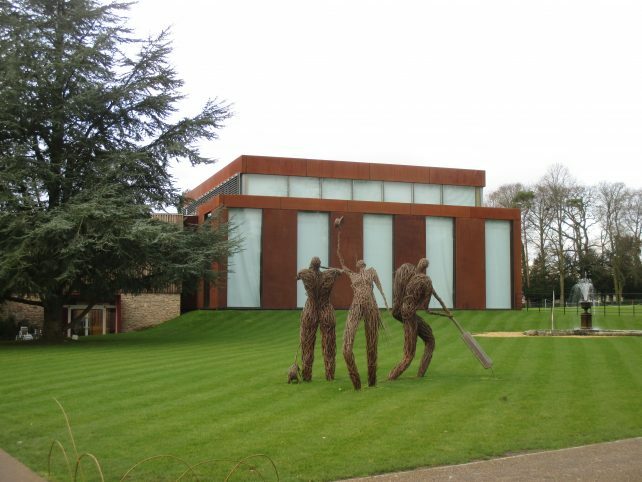 This fantastic performance centre is situated in the grounds of Wells Cathedral School. Cedars Hall hosts many special concerts. View the Spring schedule of concerts. Wells Beer & Cider Festival takes place at Wells Rugby Club on Friday 17 May from 7pm – 11pm and on Saturday 18 May from 11am – 5pm and 7pm – 11pm. £4 per pint. Live music, entertainment & food. In aid of local charity Heads Up. Wells Comedy Festival is on at numerous different venues in Wells May 24-26 2019. If you can’t wait that long for your comedic fix, Long Paws Comedy Club in Wells has regular events. Past acts have included; Russell Howard, Sara Pascoe and Stewart Lee. Wells Theatre Festival runs from Thursday 11 July to Sunday 14 July 2019. 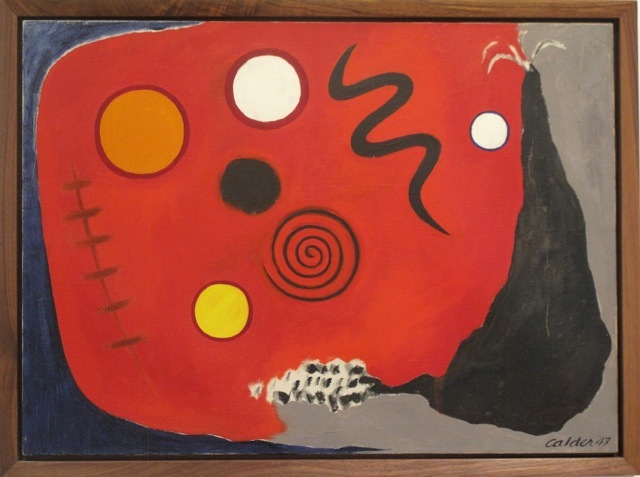 Wells Art Contemporary will take place in Wells Cathedral from 19 July until 11 August 2019. 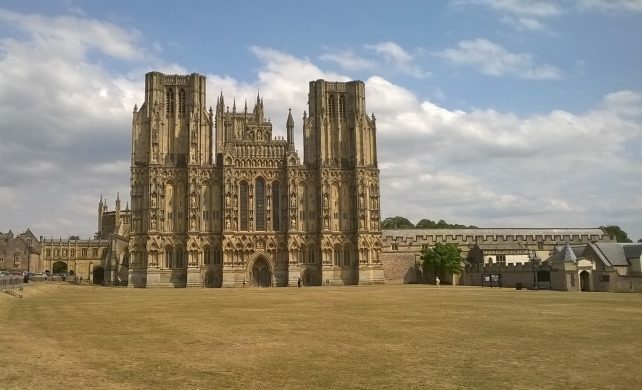 Find out more about the events, attractions and activities in Wells. If you would like a guided walk around Wells you could take a self-guided tour or get in touch with Siobhan at Wells Walking Tours. The independent and specialist shops make the small city of Wells a shopping haven. If you can’t find what you are looking for in Wells, the shopping outlets at Clarks Village and Kilver Court are well worth a visit. The Bath and West Showground in Shepton Mallet has events on all year round and is just 5 miles away from The Cross at Croscombe. 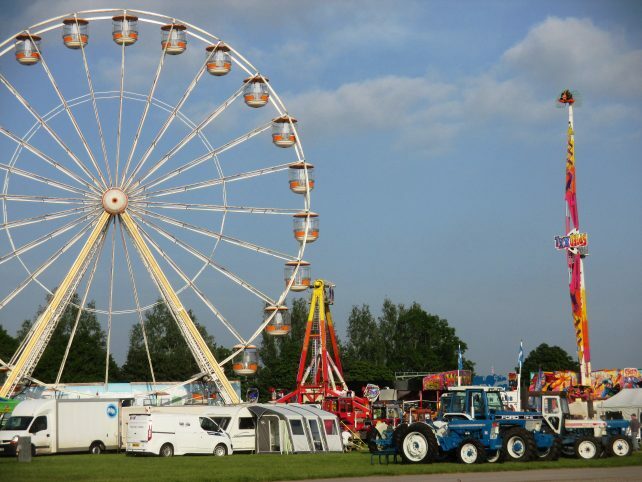 The biggest event in their packed calendar is the annual Royal Bath & West Show. It’s on from 29 May to 1 June 2019. The lovely village of Mells is just 10 miles from The Cross at Croscombe. Mells has beautiful walks, great places to eat and large dollops of architectural genius on display. Read my handy guide to Mells. Mells Daffodil Festival takes place on Easter Monday, 22 April 2019. 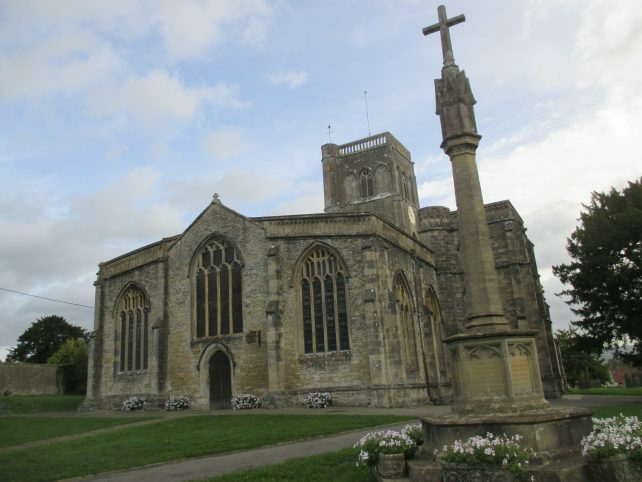 Wedmore is around a dozen miles from The Cross at Croscombe and is a lovely village steeped in history. In 878, King Alfred rallied his Somerset troops and defeated King Guthrum. The Treaty of Wedmore was subsequently agreed. Read my guide to Wedmore. Wedmore Arts Festival takes place 10 to 18 May 2019. Wookey Hole with its world famous caves and numerous onsite attractions is a firm family favourite. Longleat Safari and Adventure Park (in Wiltshire I know, but only 16 miles from Croscombe!) also makes a great day out. 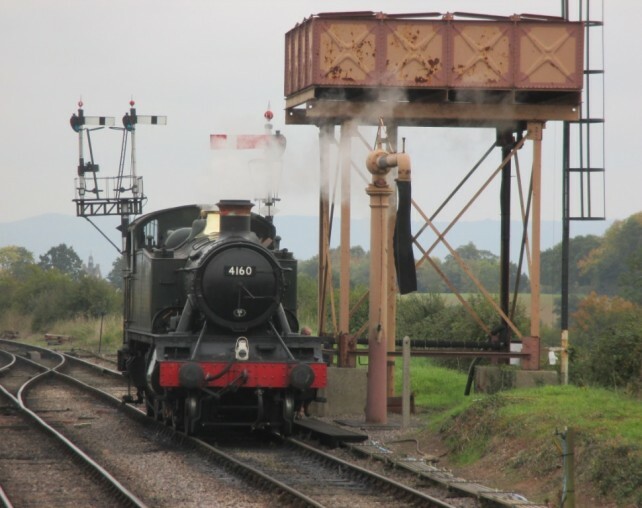 Sit back, relax and chug through the beautiful Somerset countryside on one of West Somerset Railway’s amazing steam trains. The special ‘Santa train‘ needs to be booked well in advance! Glastonbury is famous for its music festival and Abbey. 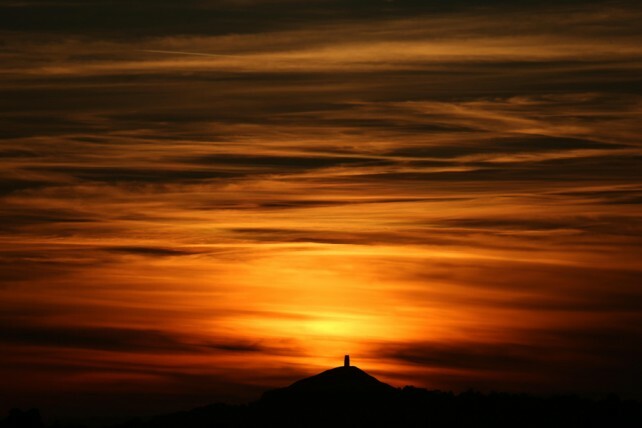 Stretch your legs and walk up to the iconic Tor to admire the view for miles around. The town is full of colourful characters, alternative and mystical shops and great vegetarian and organic restaurants. 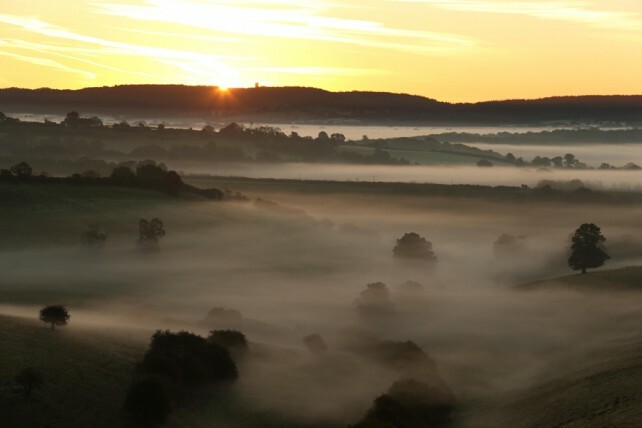 Find out more about Glastonbury’s connection to King Arthur, Guinevere and even the Grail. 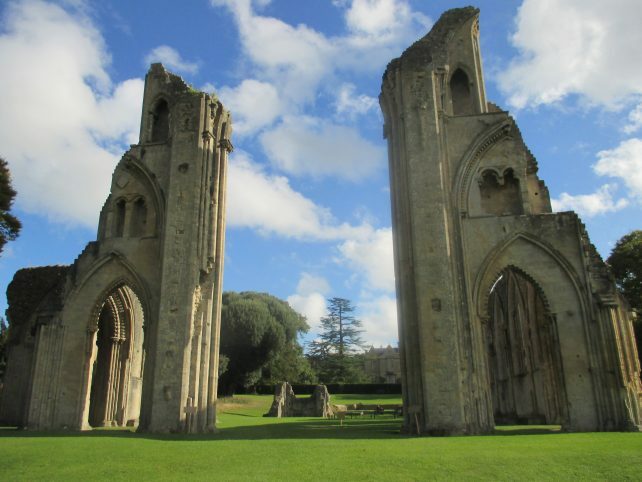 A Medieval Fayre takes place in the grounds of Glastonbury Abbey on 20 & 21 April 2019. Another major event here is the Glastonbury Abbey Extravaganza. It sells out quickly, so be sure to book your tickets well before Saturday 3 August 2019. 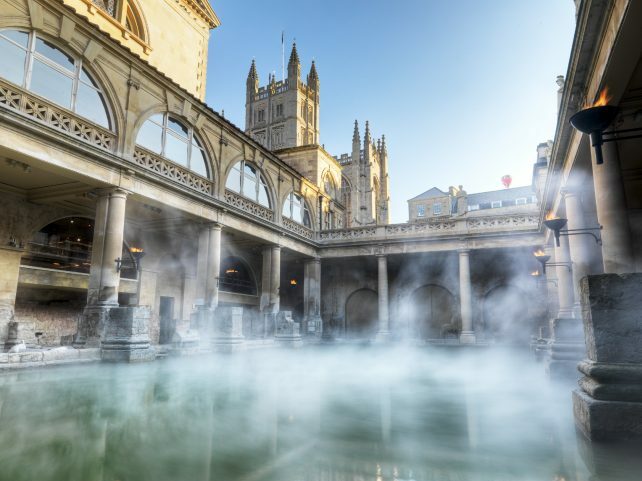 The cities of Bath and Bristol are only 22 miles away from Croscombe. Both are well worth a visit as you explore Somerset. The small, ancient town of Bruton is just 10 miles from Croscombe. People travel from miles around to visit the pioneering gallery and multi-purpose arts centre. There are also plenty of places to eat and drink in this thriving town. The fantastic Frome Independent Market takes place on the first Sunday of the month (from March to December). It’s one of my favourite Somerset markets. Happy shopping! The Cheese & Grain in Frome hosts a wide range of events all year round; comedy, concerts, festivals, gigs and markets to name but a few. This not for profit, social enterprise has been going for 20 years. It aims to promote Frome’s social, cultural and economic life. Somerset really does have it all. For a comprehensive list of the other major events in the county Visit Somerset. I hope to be able to welcome you to The Cross at Croscombe soon. Do come and explore Somerset!